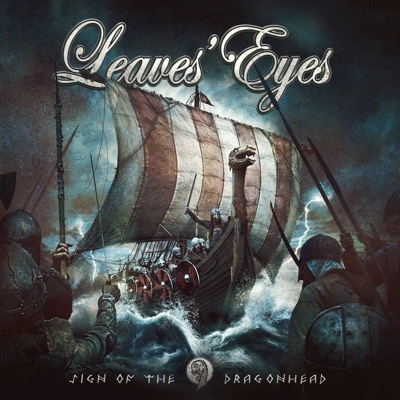 The 6th studio album auf Leaves’ Eyes called “King Of Kings” blew me away. Catchy tunes, drama and a dynamic plus variety in instrumentation – just everything a Symphonic Metal album needs. After the corresponding tour, vocalist Liv Kristin left the band due to personal reasons and she was replaced by the young Finnish vocalist Elina Siirala. 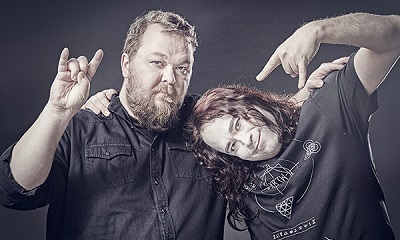 The band released the “Fires In The North” EP to introduce Elina to their fans. “Sign Of The Dragonhead” is the first real test for the new formation. And frankly, it is a disappointment. The songs themselves are more or less unspectacular, I would even say boring, most of the choruses do not work and the instrumentation is dominated by tame guitar riffs and cheesy keyboards. Of course the band did not forget everything about songwriting. There are a couple of well-done songs, just like ‘Jomsborg’, ‘Fires In The North’ or the title track. But on the other hand, there are songs like ‘Völva’, ‘Riders On The Wind’ and ‘Like A Mountain’ that are boring and cheesy. In my eyes that makes “Sign Of The Dragonhead” the first disappointment of the this young year. One final word to the new vocalist Elina Siirala: The young singer who was formerly totally unknown to me has a singing style that is comparable to her predecessor. She is definitely very talented, but she has not (yet) the charisma of Liv Kristin. She is not the reason of my disappointment, but she does not give gloss to the pale songs.